Stick these on the back of your business cards for GREAT results! 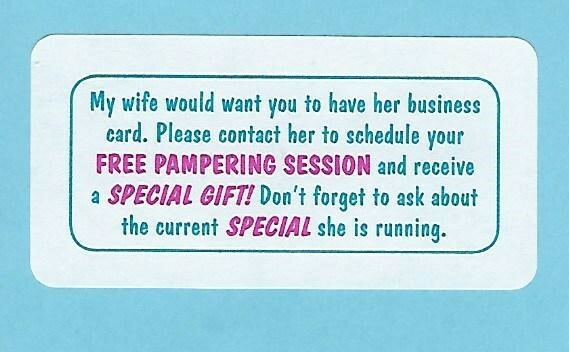 Have your Husband hand these out. The perfect way to get New Leads & Book Facials!